Inspired by nineteenth-century painters and photographers, Congress passed legislation preserving America’s spectacular natural resources for the enjoyment of all. Today, artists continue to play a significant role in interpreting these iconic panoramas, intimate corners, and diverse wildlife within our national parks. In Art of the National Parks, seventy painters and sculptors offer distinctive visions of eight of the nation’s most beloved wild lands: Acadia, Everglades, Grand Canyon, Grand Tetons, Rocky Mountain, Yellowstone, Yosemite, and Zion. Susan Hallsten McGarry, well-known author and curator, guides readers on a lively journey through the artists’ styles, techniques, and philosophies. Art historian/author Jean Stern, director of the Irvine Museum, discusses the historic artists who put into motion our nation’s conservation consciousness. And Terry Lawson Dunn, biologist and educator, highlights the national parks’ ecological successes and challenges. With more than 450 artworks, this glorious, large-format book is a must for anyone who has hiked the trails, watched a sunset, marveled at buffalo herds, or yearned to experience our nation’s mythic and transformative vistas. It is also an indispensible compendium of artists who are at the forefront of twenty-first-century American landscape and wildlife art. 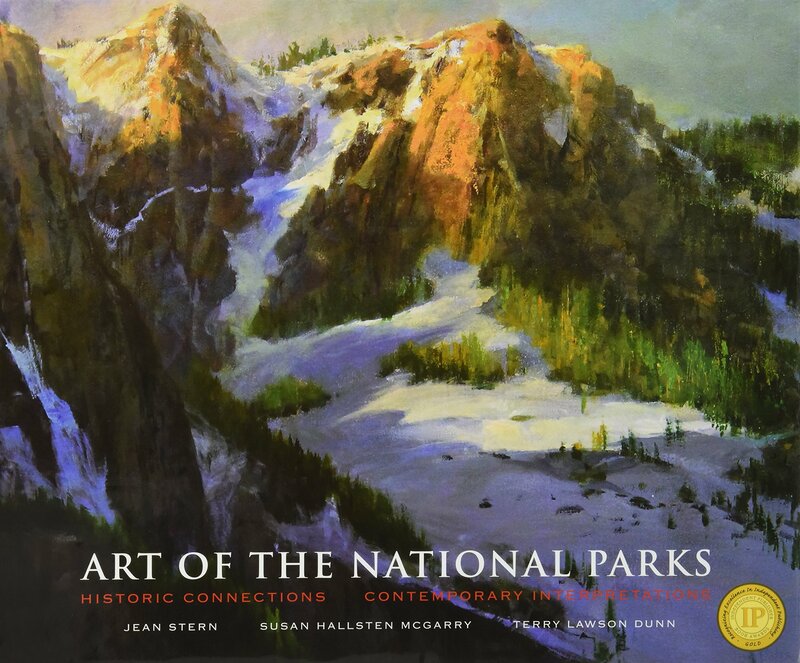 Art of the National Parks is available in seven different book jackets depicting the art and beauty from each national park featured in the book. Featured parks include: Acadia, Grand Canyon, Yellowstone/Tetons, Zion, Everglades, Yosemite, and Rocky Mountain. Special cover requests unfortunately cannot be accommodated.